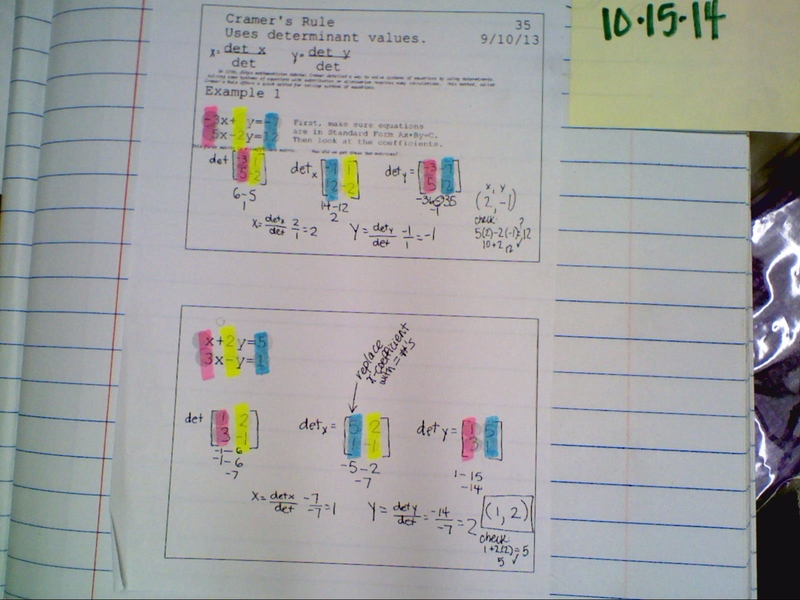 Solving Systems of Equations and scroll down to section 3 for examples of various methods of solving systems. Or use the following videos and outline. I. Watch video 0-3:25 and stop. Pause throughout to jot any notes, examples you wish to record. II. Answer these 5 questions in your INB. a. What is a matrix? b. How do you define the size? c. In order to add or subtract what must be true? 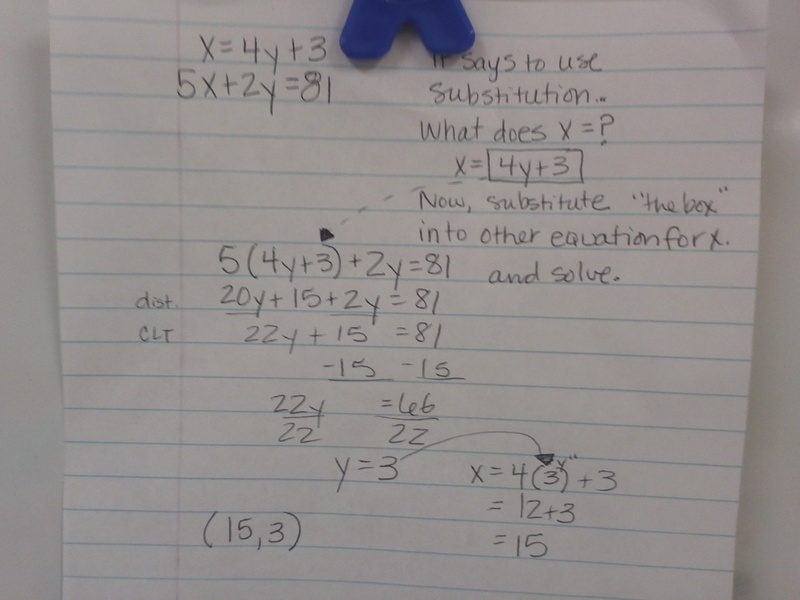 d. Explain how to add or subtract two matrices. e. Why do you think they call it scalar multiplication? III. Practice these 4 problems. And check, then record results on green organizer. I. Watch video from 3:26 to 9:04. Pause as needed to jot down any notes and examples. II. Complete these 6 questions. a. When can 2 matrices be multiplied? b. How can we tell the dimensions of our answer matrix? 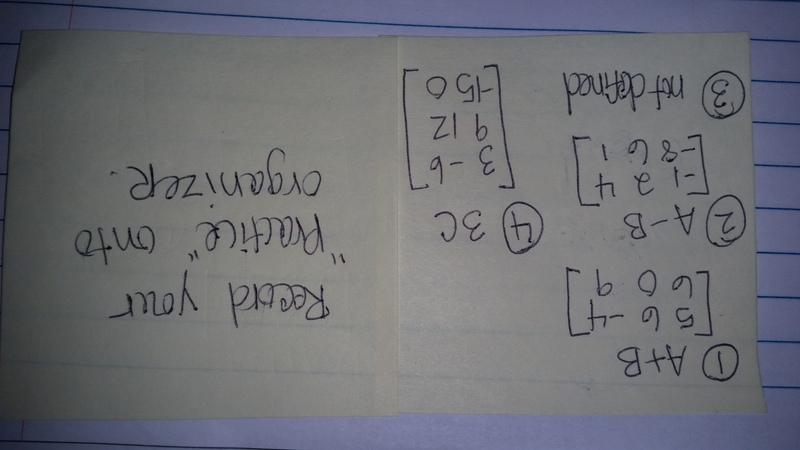 c. Give dimensions of 2 matrices that can be multiplied. 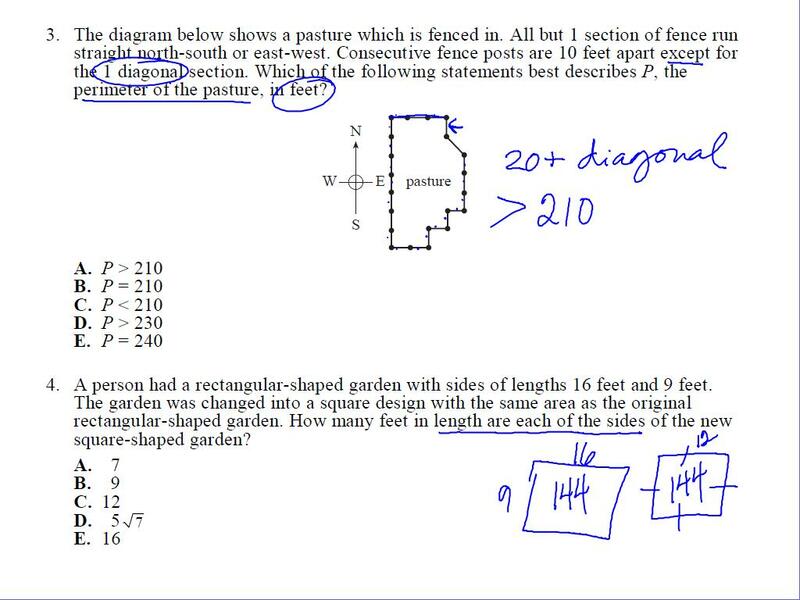 d. What is the dimension of their answer matrix? e. Give dimensions of 2 matrices that cannot be multiplied. 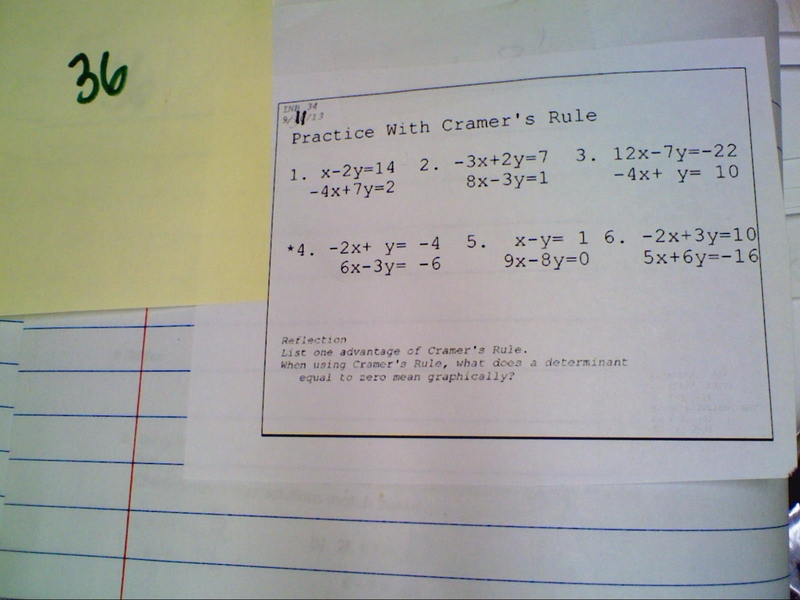 f. Multiply Practice (handout from class). 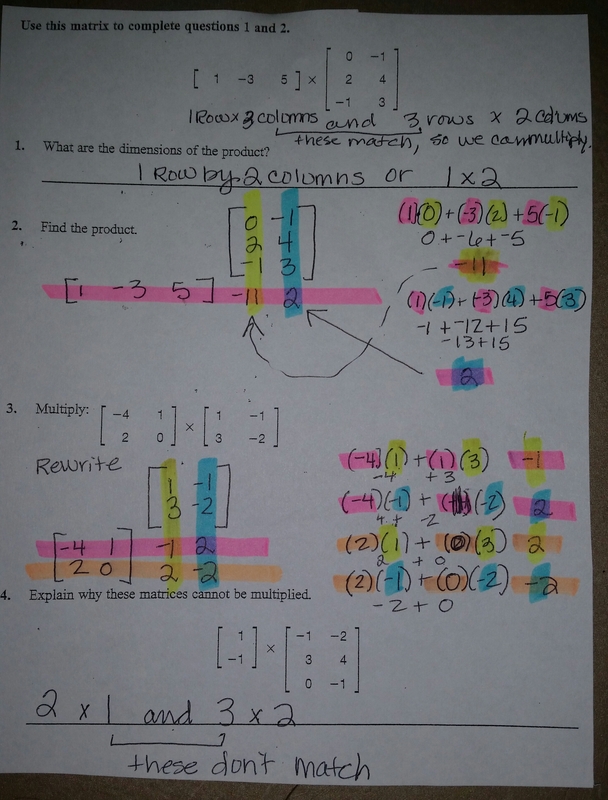 Copy examples from videos into notes. 1. Give an example of a square matrix. Why is it called a square matrix? 2. 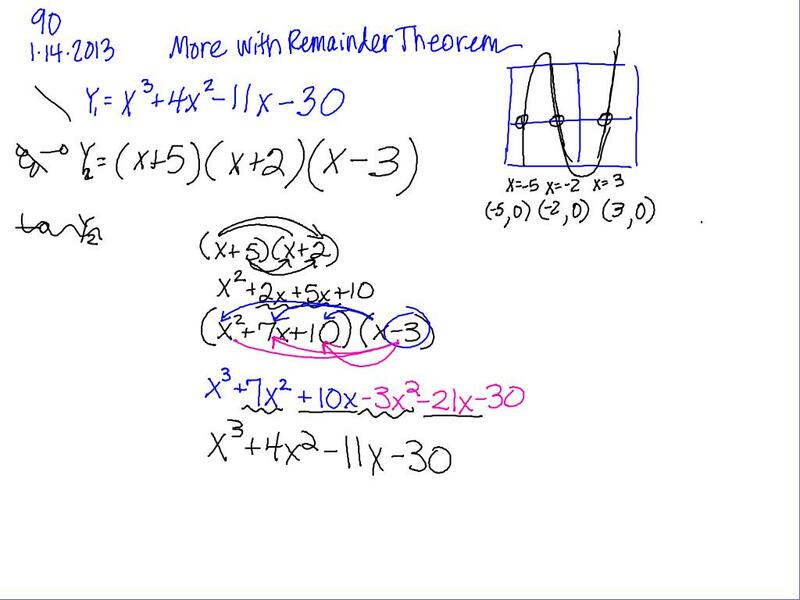 Show how to find the determinatn of a 2 x 2 matrix. 3. 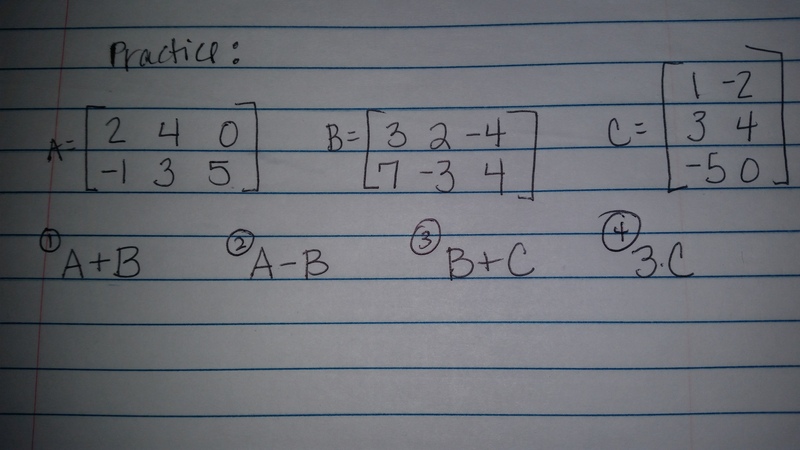 To find the determinant of a 2×2 square matrix, does it matter if you take bc-ad instead of ad-bc? Why/Why not? 4. 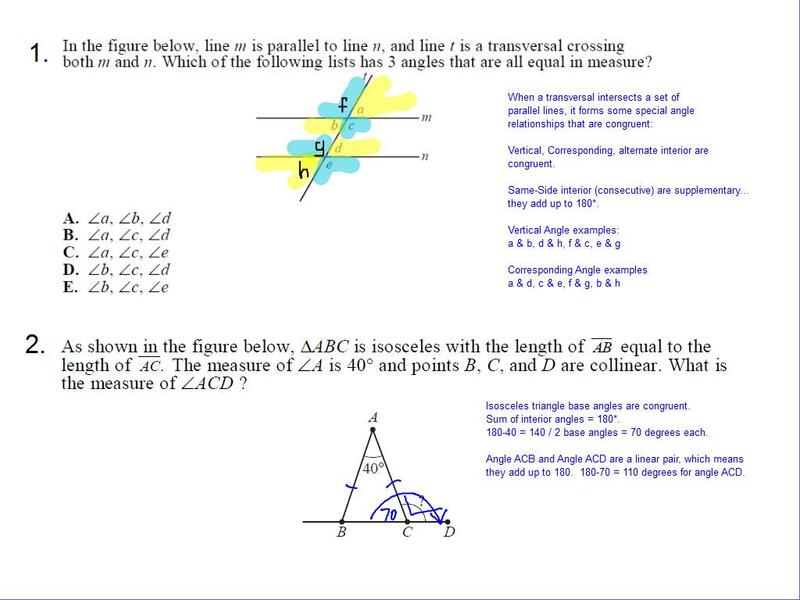 How can you use the determinant of a matrix to find the area of a triangle? 5. If you apply a scalar of 2 to your triangle coordinates matrix, how does it affect the determinant value? 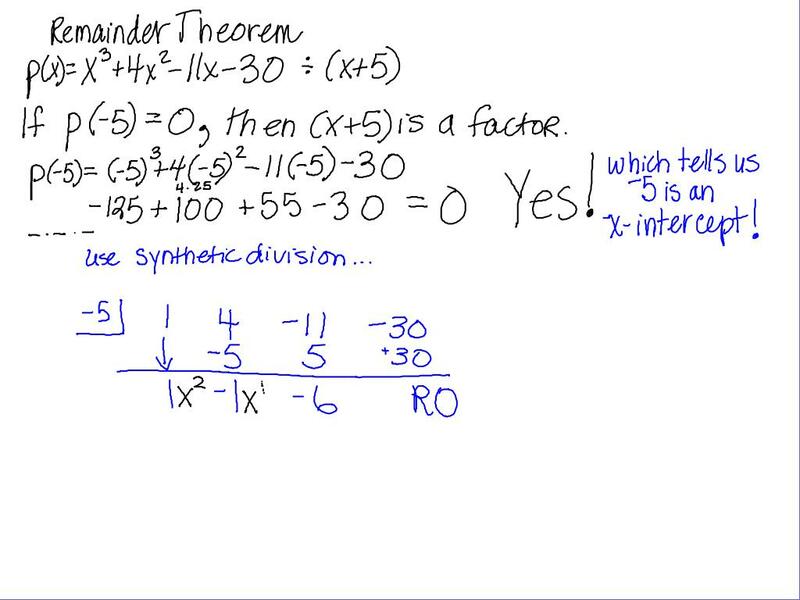 Friday we “discovered” that we could substitude “a” into our polynomial and the result would be the remainder if we divided by (x-a). We graphed the given polynomial as a function in our graphing calculators. Noted the x-intercepts. “Created” factors from our x-intercepts, then graphed our factors to see the graphed resulted in the same thing. 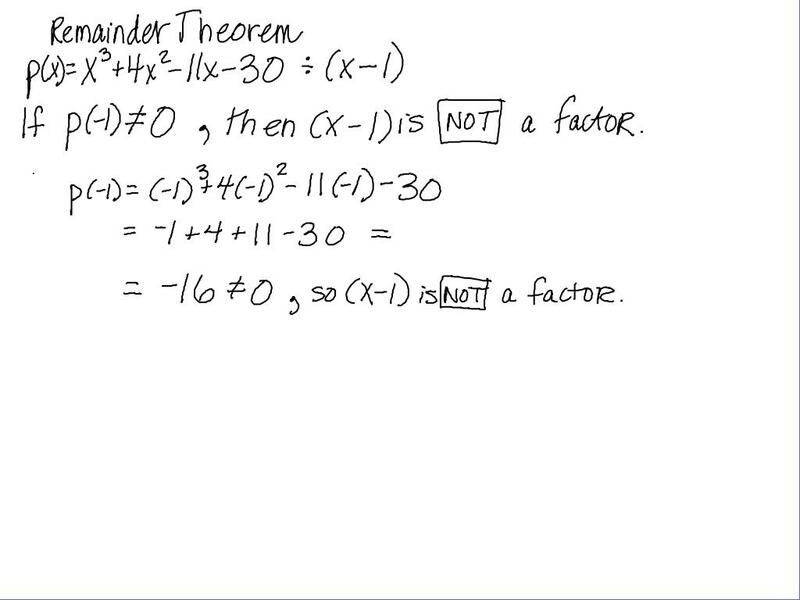 We used the remainder theorem to show that (x+5) was indeed a factor! 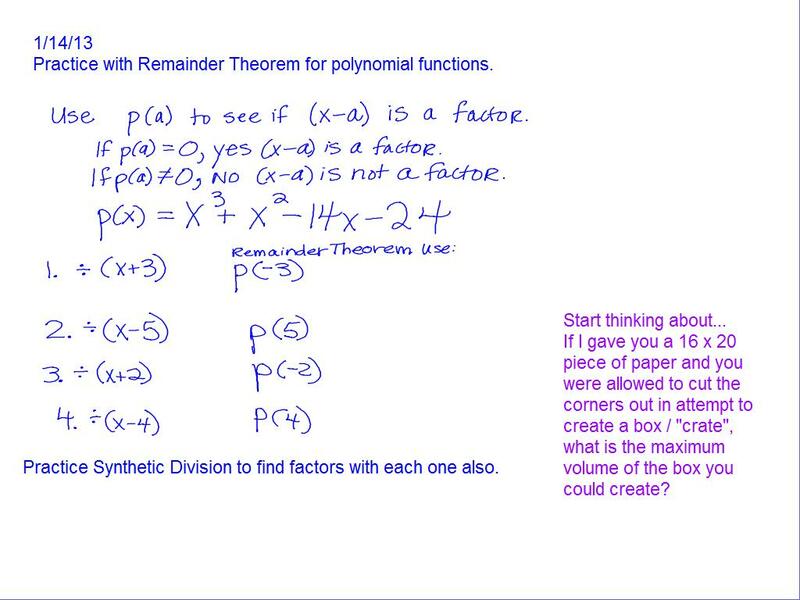 Cool Math – Division of Polynomials examples of Monday – Wednesday skills. Here’s another example for those who asked.